-Messenger photo by Hans Madsen Tony Lennon, of Fort Dodge, at right, looks over his cards during a game of duplicate bridge with Eileen Carroll, at left, Larry Probst and Peggy Wyatt. 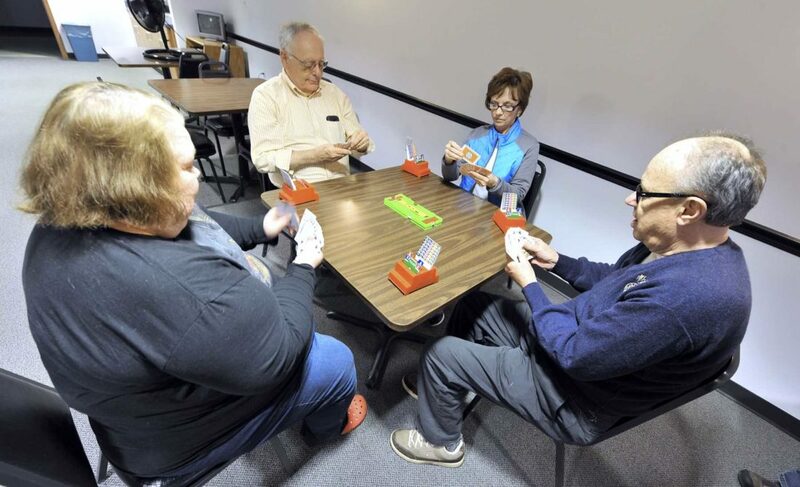 The four are members of the Fort Dodge Duplicate Bridge Club which meets regularly at Citizens Central for games. Eileen Carroll, of Fort Dodge, began taking duplicate bridge lessons with members of the Fort Dodge Duplicate Bridge Club in the fall of 2016. She found out that duplicate bridge isn’t the easiest card game to learn. There is, in fact, a steep learning curve. For Carroll, it’s a fun way to fill time and socialize. Lorie Spanjers, of Fort Dodge, has been playing for over a decade. 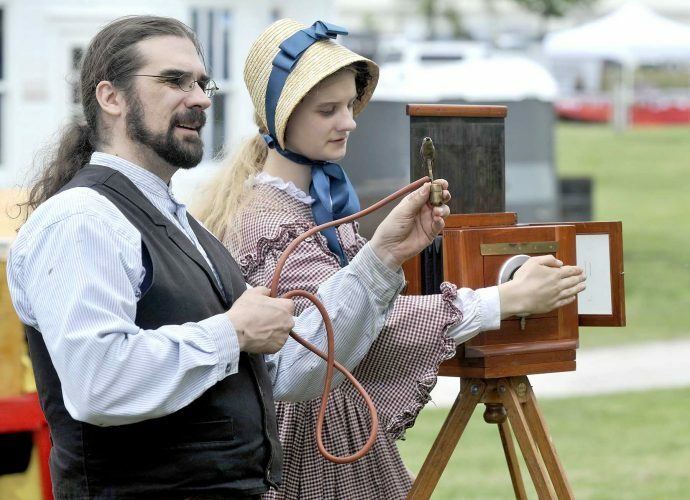 While the basic rules of the game can be learned quickly, much of the art, strategy and subtle actions in the game are learned gradually over time. Larry Brobst, of Fort Dodge, has been playing for more than 50 years. He too, is still learning. “It’s a game where you can continue to learn,” he said. The club has been around a long time. He wasn’t just a player, after a few years he took on another role. Club member Tony Lennon, of Fort Dodge, has a decade less in the game than Brobst. “I started in 1972,” he said. He said that duplicate bridge differs from other bridge games such as party, house and social bridge in that the cards dealt at one table become the cards the players at another table have to play. “This hand played at this table then goes to another table and they play the exact same cards.” he said. Once everyone is done, the results are compared. A bad hand can still have good results for a player. “You might have a bad hand but maybe you defend it better,” he said. For local and area players, the Fort Dodge Duplicate Bridge Club offers several evenings and afternoons of the game. Monday night games start at 6:30 p.m. Wednesday afternoon is at 1 p.m. Friday nights are at 6:30 with beginners lessons at 6 p.m. All games are at Citizens Central, 617 Central Avenue, in downtown Fort Dodge. A typical set is about 28 hands. For players who want to test their skills against other players from Iowa and the surrounding states, the club is hosting an American Contract Bridge League sanctioned sectional tournament April 21-23 at Citizens Central. This year, the club also received a grant from the Fort Dodge Convention and Visitors Bureau to help it promote the tournament this year. “They’re a sponsor for our event this year,” Lennon said. For many players, the game becomes a source of lifelong friendships, a sense of family with other club members and a subject of thought and conversation even when away from the playing table. Peggy Wyatt, of Fort Dodge, is relatively new to the game. She’s been playing for two years. She considers herself a newbie. “Very much so,” she said. She also enjoys another aspect of playing with the club: the weekly results of the games are printed in The Messenger.